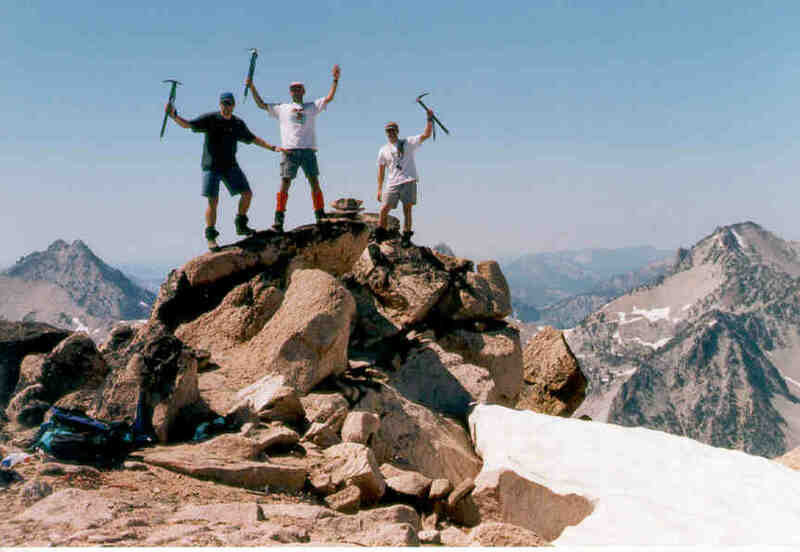 Hiked Braxon Peak (10,340') in the Sawtooths with Fred Willerup and Steve Townsley. 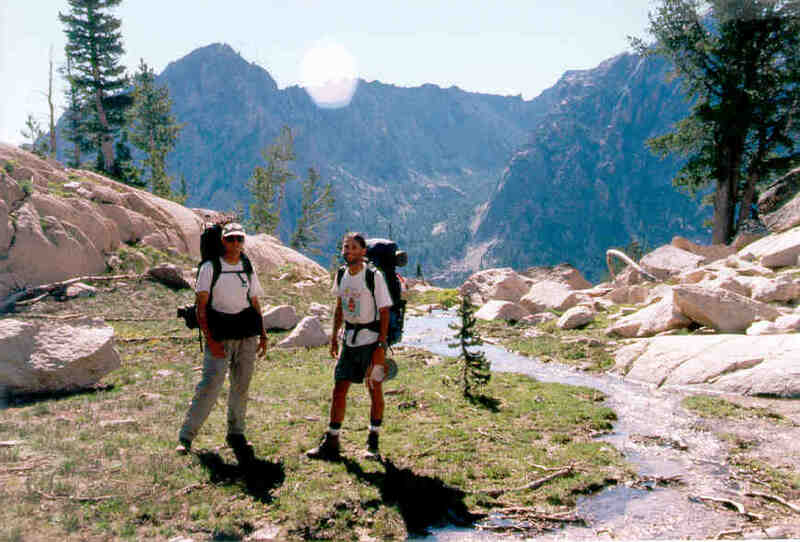 (Steve's friend, Al, met us at our campsite after we had summitted) Great hike. Not technical. Steve and Fred had crampons but didn't need them. Had ice axes but didn't need them either. 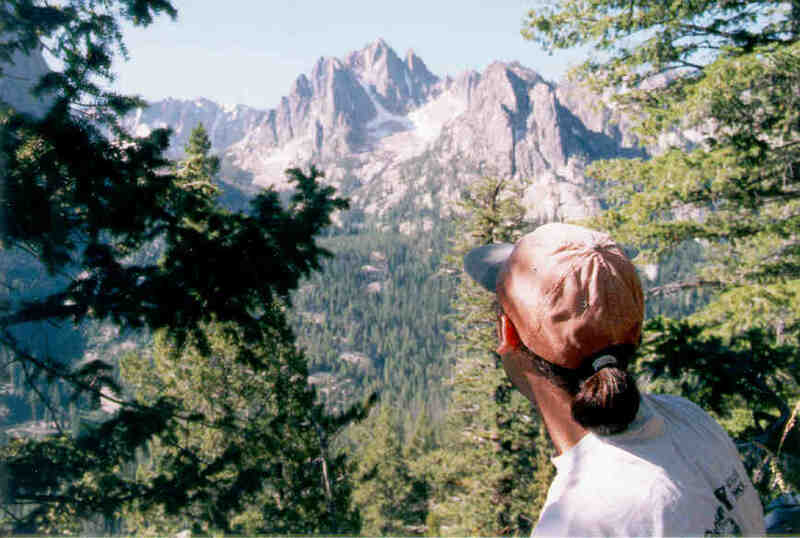 To get this peak take the boat across Redfish Lake and hike up Redfish Creek about 1.5 miles. 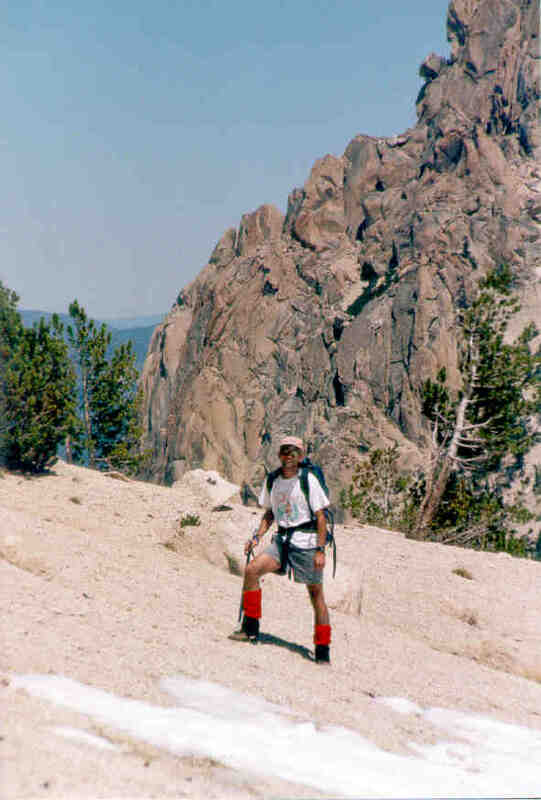 Then bushwhack to the right following a stream to a lake. Then go up to the saddle to the north of the lake, then head west to the peak. Easy. Great view from the top. Then next day we hiked up to Elephant's Perch and the lakes there (Saddleback?) where we caught some very small fish and had a refreshing swim. Fred, Steve, and I on the top. In loose, sandy soil near the summit. Right near here is where we did some good sliding on the way down. Me and Al on the way out. Looking across the valley. Not sure what peak it is. 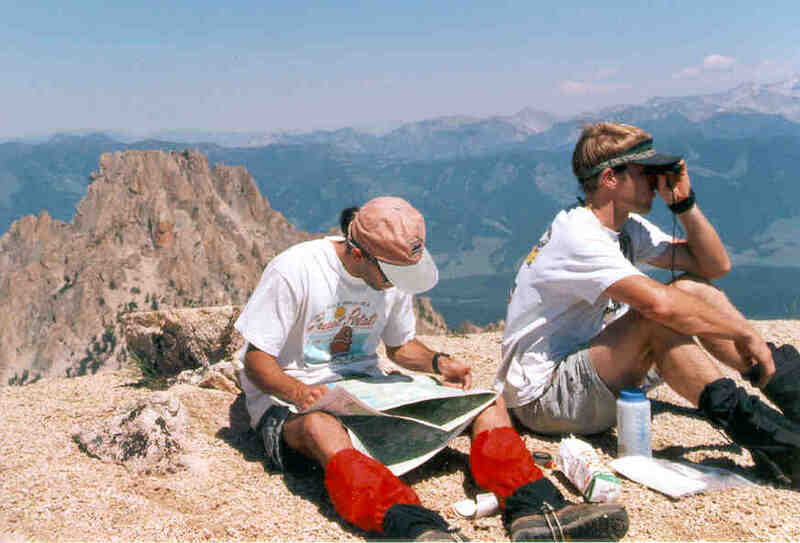 Me and Steve using map and compass to figure out what peaks and lakes are where. 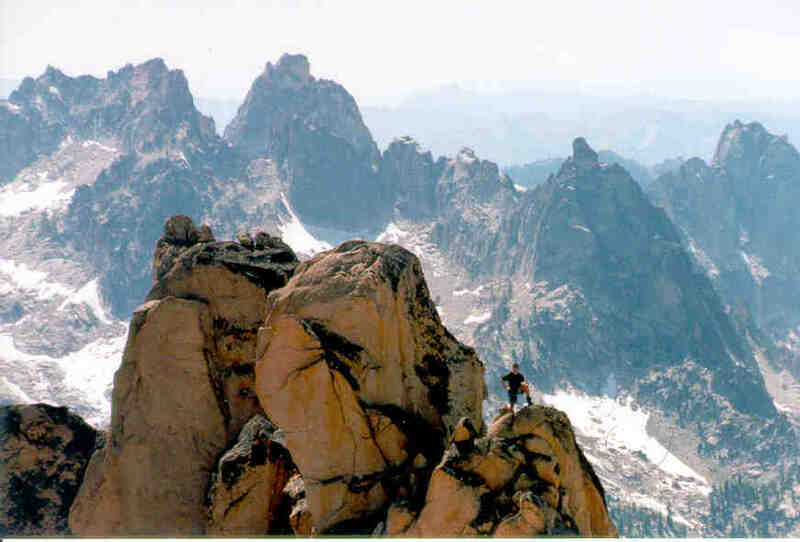 Fred against a spectacular Sawtooth background.